Dave Bulthuis joined 1. FC Nurnberg in summer 2014. He signed a 3-year contract on an unknown transfer fee at the just relegated club. After three seasons with around 74 matches for the German club, he went to Azerbeidzjan to sign a 3-year deal at FK Qabala. 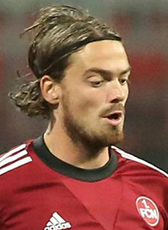 In January 2018, Bulthuis returned home signing until summer 2020 at SC Heerenveen. Although he played a lot of matches as captain of the club, both player and club were happy to announce a transfer abroad in January 2019. Dave Bulthuis moved to South Korea to sign a contract at Ulsan Hyundai FC.